For many years I would dress as Santa and create a photo that I could send to my clients around the holidays. This photo was one of my favorites. 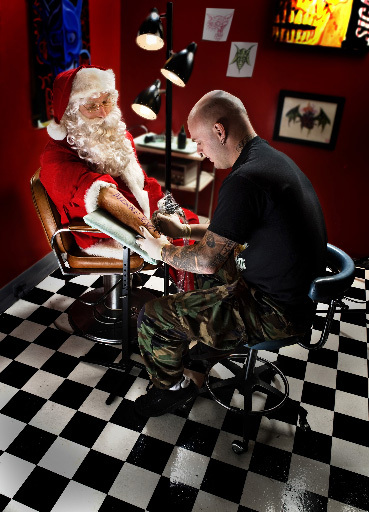 The tattoo parlor in Easton, PA was the perfect setting for a Santa photo folly. And no, I do not have Merry Christmas tattooed on my arm. The first Santa was shot in 1982. This one was shot 25 years later.